The Meizu MX5e is a dual-SIM smartphone, which comes clad in a metal body and weighs at 149gms – not too heavy. It will be available in Gold and White color variants. Similar to MX5, MX5e too shares the same curved corners and has similar beveled edges resembling the Apple iPad Air. Counting on its specifications, the phone features a 5.5-inch full-HD (1080×1920 pixels) Super AMOLED display with Corning Gorilla Glass 3 protection. The processor is that of MediaTek MT6795 clocked at 2GHz, coupled with 3GB of RAM. The device’s Android OS version is unknown. Located at the rear is a 16MP shooter with LED flash. The front camera is also not shabby either, as it packs a 5MP. The storage provided is 16GB and its expandable capability is not known. In terms of connectivity, MX5e supports 4G LTE, 3G, Wi-Fi, Bluetooth, GPS/ A-GPS, Glonass, and Micro-USB. A 3150mAh battery powers the device. 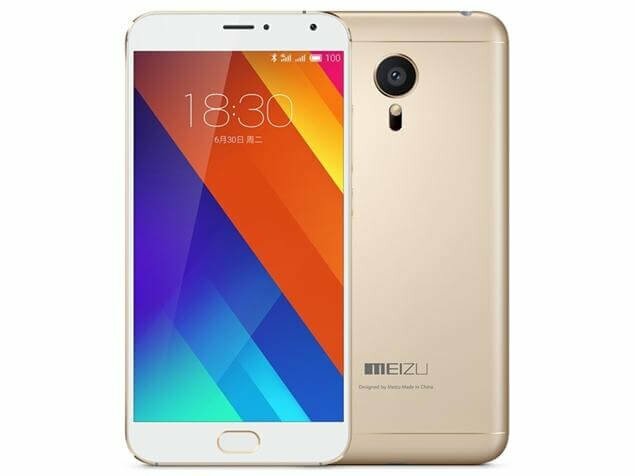 Meizu MX5e is expected to get shipped to India soon.